Roselle Mayor Jamel Holley announced he will run for the state Assembly. he has been considered the leading candidate for the post. ROSELLE — Taking a much expected step, Mayor Jamel Holley yesterday announced he will seek the Assembly seat recently vacated when Joseph Cryan became the Union County Sheriff. Democratic Committee members will meet Jan. 21 at the L’Affaire banquet hall in Mountainside to pick a person for the seat. Holley has been the leading candidate, having stated his interest in the legislative post shortly after Cryan was elected sheriff in November. Cryan formally resigned the Assembly earlier this month, before be sworn in as sheriff on Jan. 4. Yesterday, both state Sen. Raymond Lesniak (D-Union), a local powerbroker, and Elizabeth Mayor J. Christian Bollwage, head of the largest city in the county and in the legislative district, both announced their support of Holley. The district also includes Roselle, Union and Hillside. “I am humbled and excited to begin this journey toward providing them the voice they (district voters) need,” Holley said. 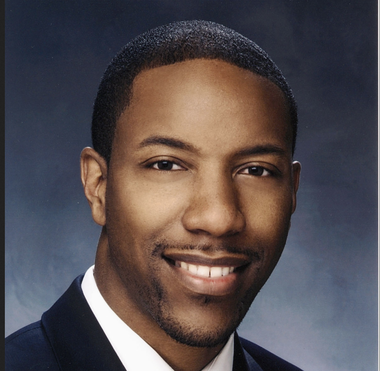 The 35-year-old Holley was elected to the Roselle Borough council in 2005 and 2009, and elected mayor in 2011. He currently is the Irvington public works director. Holley said he will file a petition to run in the spring primary election for the Assembly seat. The Democrats will pick somebody to fill Cryan's seat, but all persons interested in the seat must run in the primary and then in the general election in the fall.